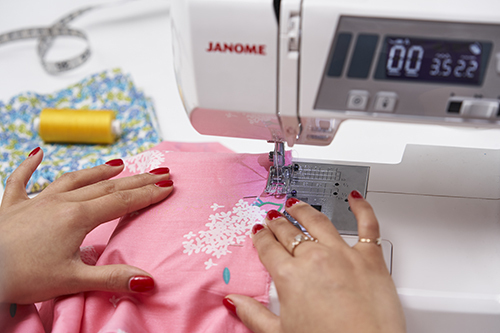 Home>Blog>Blog>Behind the Seams>Join in Selfless Sewing Month! Selfless Sewing Month is back for 2019! Last year Lisa and our team dedicated their sewing time throughout April to others, and sewed lovely things for their loved ones. This year we’re going bigger and better! For 2019’s Selfless Sewing Month, our focus is on sustainability, stash busting and using up those tiny scraps we love and can’t bear to throw away. Launching on Monday 1st April, each week we’ll be having fun spring cleaning our sewing spaces whilst doing something lovely for others. We’ll be saving small scraps and showing you how to colour-block them together to make brand new garments for friends and family. This week is all about kids’ clothes, and how your leftover knits make perfect mini clothes for the little ones in your life. Focusing on accessories, we’ll be saving scraps from larger garments to turn into ties, knickers and even dog coats! Great pressies! This week we’ll be sewing our scraps for charity. We’re making drawstring bags to fill with essential items for women and children in the UK who are in need. Charity sewing day for your diary! In our last week we’ll be hosting a special event. Those who are local, drop in to our Islington shop on Friday 26th April between 1-8pm for a charity sewathon. We’ll be making drawstring bags from our scrap bin and remnants, and filling them with much-needed items for charity. London locals, RSVP here! How does Selfless Sewing Month work? Throughout April we’ll send you a weekly email with the theme for that week – sometimes with a little discount! We’ll be posting updates and tutorials on Instagram Stories, so if you want to stay up to date with the challenge follow us at @sewoveritlondon. 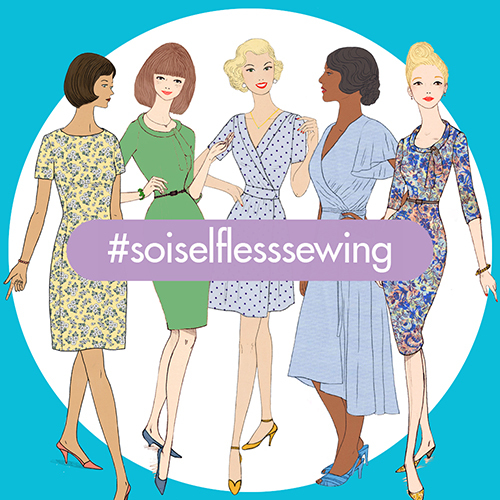 For the first three weeks, all you have to do to join in is post your projects on Instagram with the hashtag #soiselflesssewing. As we get nearer to the time, we’ll let you know how to join in with our charity challenge at the end of the month. Fancy joining in? Get your scraps at the ready. Next week we start the stash busting!